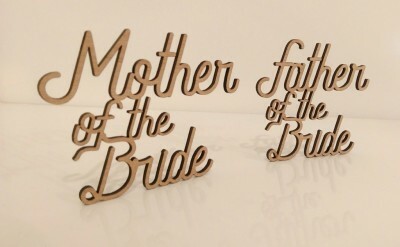 Wedding day décor will look fantastic with these beautiful custom name place settings waiting on your guests arrival. 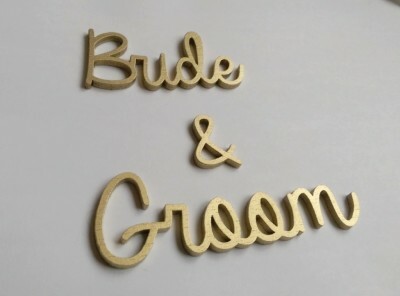 They'll look great as finishing touches for your big day and also serve as wedding favours for your guests to keep as a memento of your special day. 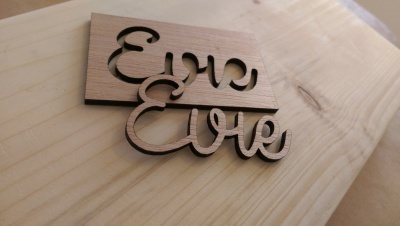 Each name is laser cut from 4mm sustainable eco friendly plywood in our workshop and measures approximately 4cm in height. Names are available to order as single samples or in bundles of 5, 10, 20, 50 and 100 to tailor you party sizes. 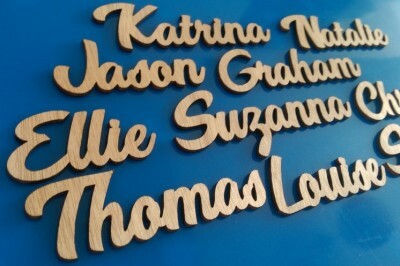 All laser cut names come safely contained in their custom cut template sheets to prevent damage during transport as shown in the pictures. Samples can be ordered in all of our font designs and finishes with options for standard or personalised sampling. 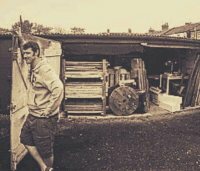 Mixed sample packs can contain your specified choice of font or a mix of all 3 to compare at your leisure.